A couple of months ago I had lunch with two old friends from high school. We hadn’t seen each other for decades so there was much to catch up on – families, careers, retirement, etc. We had such fun. As the newest retiree in the group (just since May), I was curious about how they spend their time. As it turns out, my friend Susan started an Etsy shop. We talked some more and I thought I could probably revive some fruit and vegetable paintings that I used to do when I was traveling the art fair circuit. Later, when I returned home, I looked at my friend’s shop DoodleDogDesigns (cute personalized doggie bandannas) and was impressed by how professional it was….and how many sales she has had! Wow, who doesn’t need a little extra income? 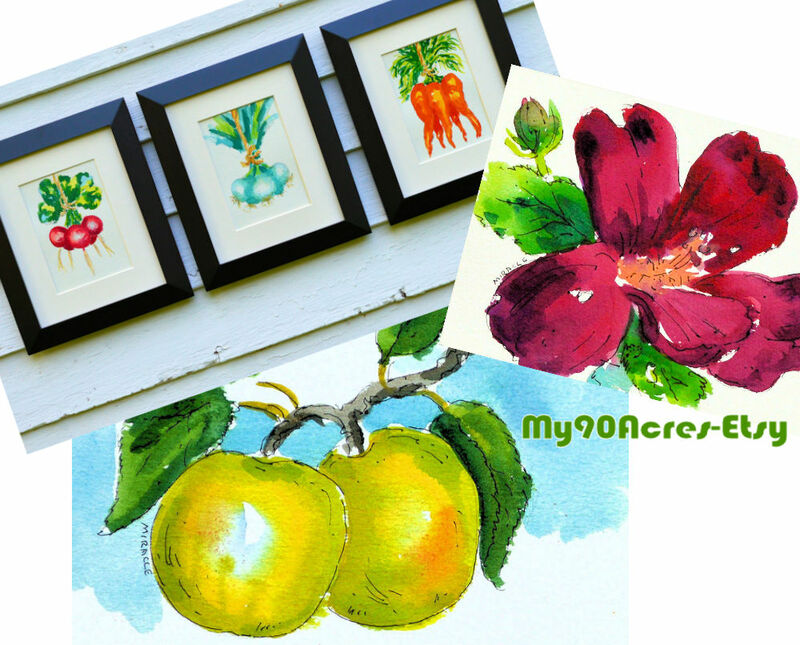 Within a week, I had set up a new Etsy shop, My90Acres with the intention of focusing on artwork related to the theme of this blog, i.e., living in the country. The paintings are all original watercolor / pen and ink sketches, matted to 8 x 10. These used to be my bread and butter item when I did the art fair circuit for 25 years. Very popular with buyers who want to add a pop of color to their kitchens and living spaces. Afterall, just how much grey can we live with these days? And they’re small enough to fit into those awkard spaces in your home, on the soffits over the cabinets, between the cabinets and the counter, between windows, or even on a shelf. I had customers who would come by my booth every year to add a few more paintings to their collection. 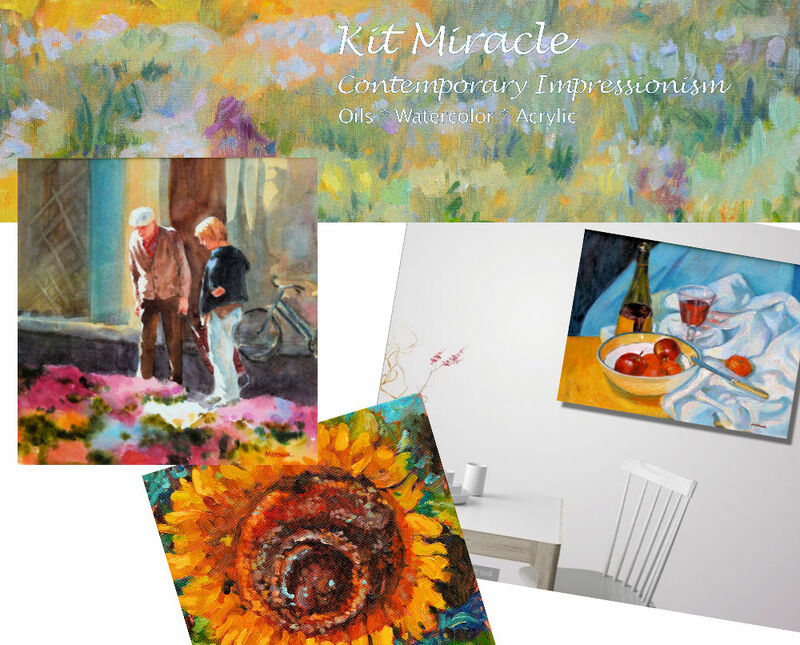 I was also surprised that an Etsy shop that I’d started a few years ago was still registered to me, KitMiracleArt. So I decided to revive it for all of my other artwork. I’m ambitious if nothing else. Besides, I have plenty of artwork on hand and plenty of time to pursue my interests now. So after two months of the Etsy experience, this is what I have to report. The investment was minimal. I already have the studio and all the tools I need to do my work. The Etsy fee is only 20 cents per item and 3% per sale which is a small fee to get my work in front of so many people. I did purchase museum-grade ready-cut mats. Not much overall. I already have the skills. 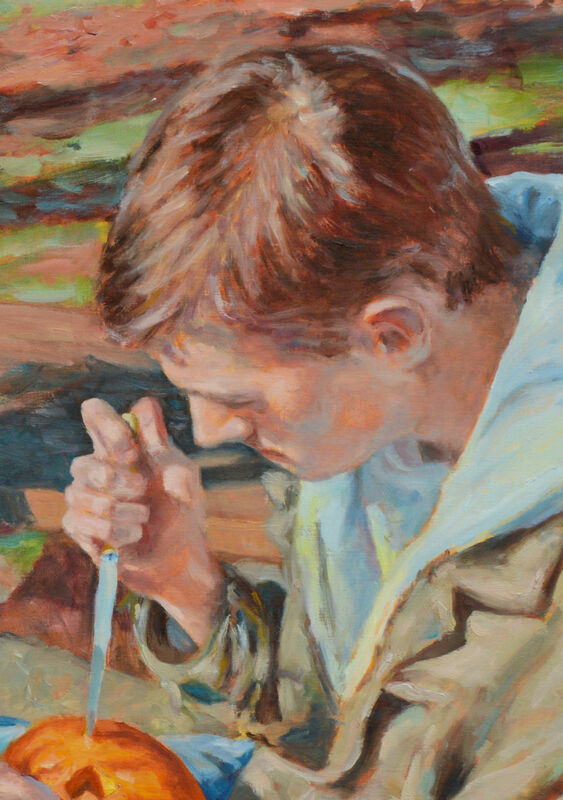 I’ve been painting professionally for over 30 years. I have years of selling at art fairs and running a business. I have a modest amount of computer skills with my original web site since the mid 1990s, plus managing the website, blog, and other online activities at my former job as Director. I’m pretty good at marketing and SEO (search engine optimization). During my decade as Director, we sold out about 50% of our performing arts events. And a Google search of my name reveals that I come up five times on the first page. This forced me to take a complete inventory of my studio, plus clean up. Neither of which is a favorite activity of artists. I was forced to learn my “new” digital camera which I purchased two years ago. I was also forced to learn a really good photo manipulation program which I had installed over a year ago. And, my time is still my own; I still get to paint and do something I enjoy. I love those afternoon naps, too! But all is not paradise in the land of Etsy. There were some surprises. Running a successful Etsy shop takes LOTS OF TIME! I so admire those people who are really good at this and totally appreciate the effort they have put into their shops. The actual time invested to make this happen was a surprise and affected almost every area related to my Etsy shops. Establishing a new shop and reviving the old shop was more work than I anticipated. What was I thinking?! Production time increased. Just to get enough products for the My90Acres shop required a concerted investment of time. This could almost become a job. Did I mention that I just retired? Taking good photos is paramount. If your pictures don’t look good in your store, you don’t look professional. I was forced to learn the new camera so this ultimately was a good thing. It takes a lot of time to set everything up, check the lighting, take the photos, and put everything away. Photo editing (after I learned the new program) takes a lot longer than I anticipated. I really want my pictures to look good. Many evenings will find me working on my laptop while my husband is taking in the Cubs game. Writing the descriptions for each item takes way more time than I imagined. Afterall, I want to be informative but perky, to entice the buyer to actually purchase something. Promotion is critical and again, takes some investment of time. This includes making sure your tag words are good, searchable, promoting on social media, and just keeping up with it all. Educating myself about the ins and outs of Etsy has also been a treat. I’ve read a couple of books but will say that the Seller’s Manual on the Etsy site has been a tremendous help. I’ve also watched several videos on the topic (there are over 1 million Etsy videos on YouTube). One needs to have some business background – budgeting, accounting, inventory – to have a successful shop. Fortunately, I had this already but new Etsy shop owners should educate themselves in this area. Planning and organization are key. I’m pretty organized but the amount of time involved has been a surprise. I was talking with an artist friend recently and was lamenting that I couldn’t seem to find my style. She was astounded and said that I definitely do have a style. Upon reflection, I’ve had other people tell me that they can recognize my paintings immediately in a gallery full of artwork. So, I guess maybe I do have a recognizable style. But as we talked further, I said that the paintings that I’m most proud of are the ones that tell a story. To me, storytelling is so much beyond just the skill of being able to render a still life or landscape. This is not really a new thing. Artists have been telling stories through their art for centuries from the first caveman drawings (how to hunt) to relaying biblical scenes to recording street scenes. How can I engage the viewer? How do I draw him in, step closer, stay awhile? I want the viewer to ask, What’s next? Is there a next? I like to insert some emotional aspect. Wonder. Fear. Danger. 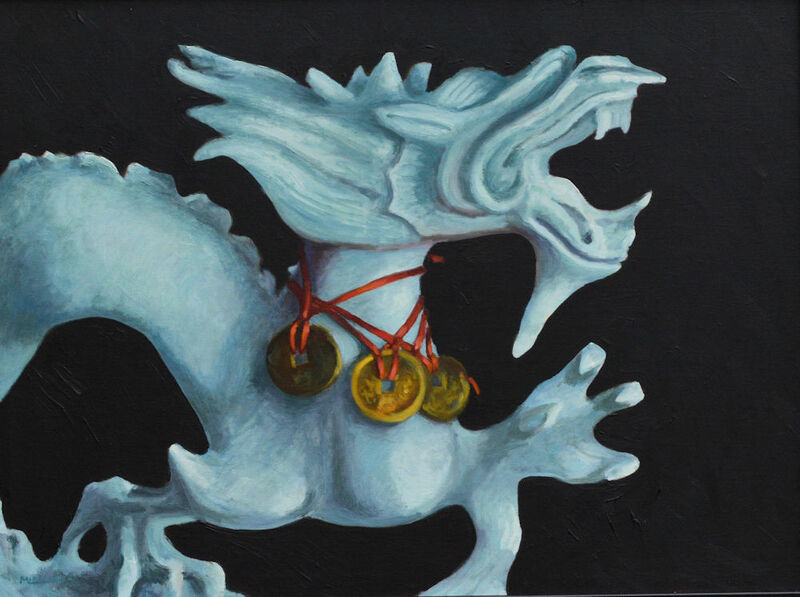 And it seems as if many of my story paintings exhibit some quality a little beyond reality. 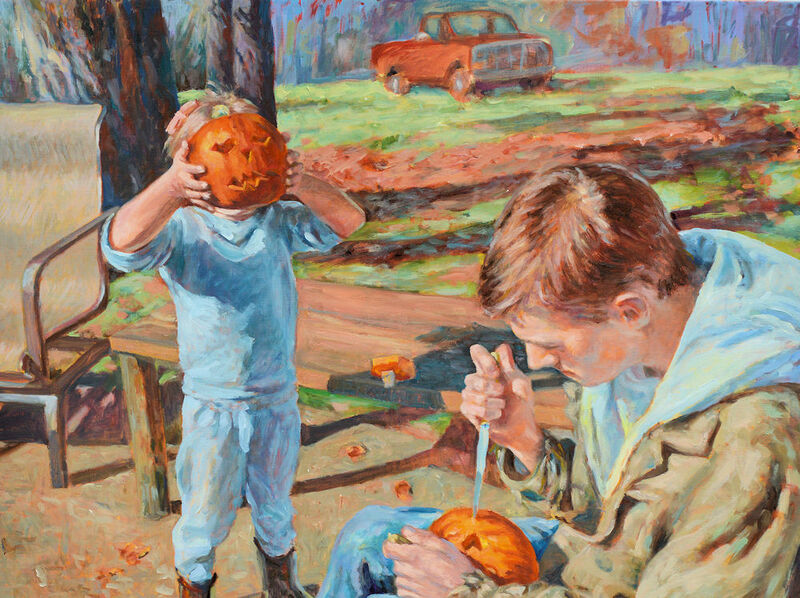 The painting Pumpkin Head is such a painting. The straight story here is that my son was carving some pumpkins for my granddaughter for Halloween. When she asked for happy faces, he responded, No, they’re born as pumpkins and they die as scary Jack O’Lanterns! Kinda creepy if you ask me but it set the scene. Many viewers have picked up on the element of danger here. He really shouldn’t have been carving a pumpkin in his lap…but no blood was shed. And the element of surprise. 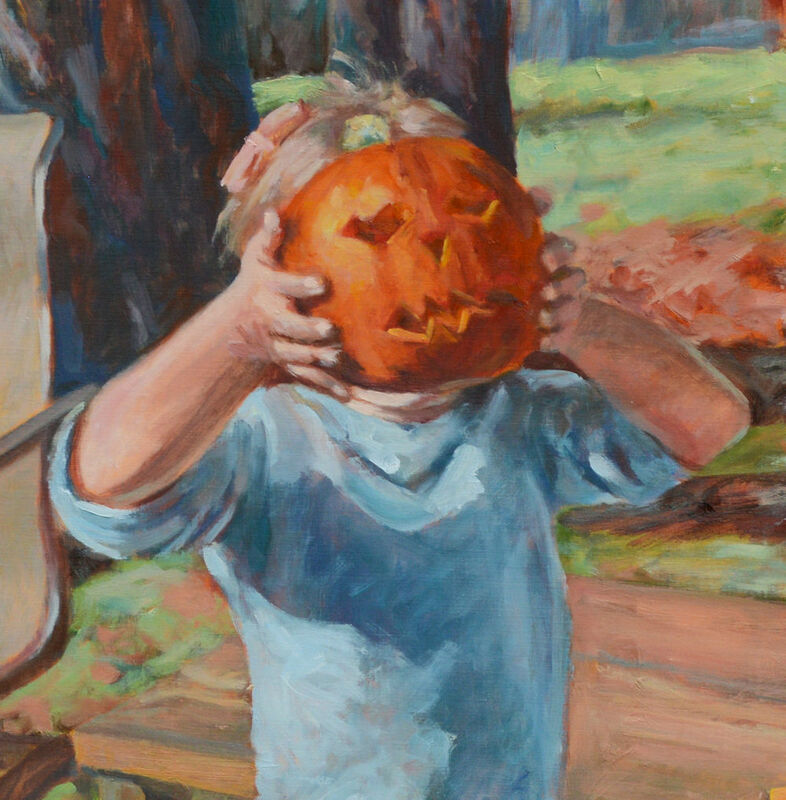 The viewer doesn’t really know if the child is a boy or girl with the gray outfit and dinosaur boots, until the pink bow is spotted peeking over the pumpkin she is holding. And, of course, there is humor. It’s just a bit silly but something kids have done for years. Finally, there’s an unreal quality about the painting. 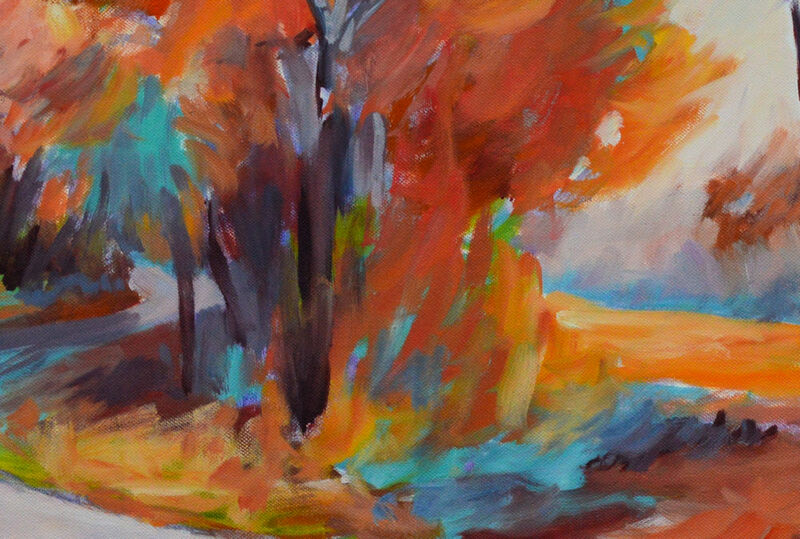 Maybe it’s the October light or the impressionistic handling of the paint. The moment in time. The difficulty for me was to decide what to leave out of the painting. I worked on this for two months with the last month taking the most time as I agonized what to change, what to emphasize. I will make some future posts of other recent story paintings. Meanwhile, think about the idea as you look at the work of Edward Hopper, Grant Wood, or Diego Rivera. Good art is a lot more than just pretty decoration. To view a step-by-step illustration of Pumpkin Head, visit this page. 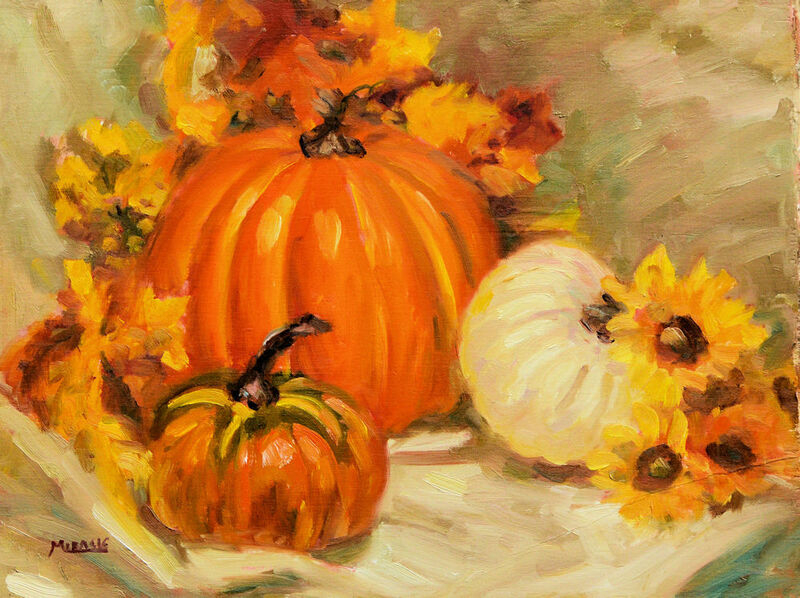 Pumpkin Head is currently on exhibit in the annual Juried Show at the Krempp Gallery, Jasper Arts Center, Jasper, Indiana.